Welcome to Scandic Bygholm Park! 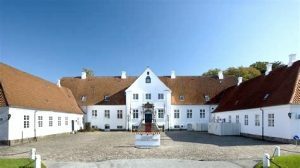 The 30th Nordic Lipidforum Symposium 2019 will take place at the Scandic Bygholm Park in Horsens, Denmark. The hotel is a renovated manor house from 1775, and the hotel is surrounded by beautiful Bygholm Park. Scandic Bygholm Park is located close to attractions such as the prison museum Fængslet (The Prison) and Legoland near Billund, aåårx. 50 km from Horsens. For more information about the hotel, visit their website here.